How Can I Move Rain Water Around a Property? There are cases when it becomes necessary to move water from one location to another on a property. For example, what if you need to move water away from an area where puddles build up due to plugged drain tiles coming off of a gutter and downspout system? Instead of digging up the yard looking for that plugged or broken tile, install a Garden Watersaver Downspout Diverter directly into the downspout where flooding problem occurs, and you can send the water to another part of the yard, store it in a barrel, or divert it to whatever location makes sense. What if you need water for a garden or flower bed that’s a bit covered by roofs, trees, awnings, etc? Rainwater is best for gardens, but what if the garden is at the back end of the property? Moving water is as easy as collecting the water in a rain barrel, adding a spigot to the bottom of that container, and then connecting a garden hose to the barrel spigot! Leave the spigot open as the water rises. Pressure builds and the water starts to move where you want to send it! 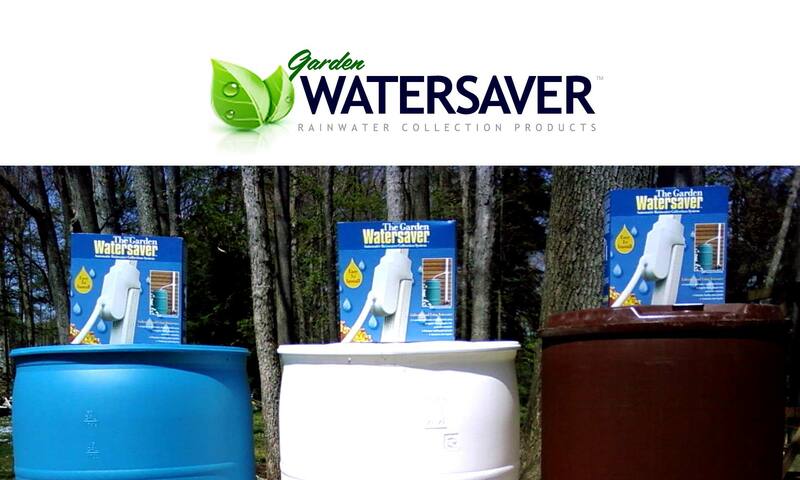 Want everything you need to create a rainwater harvesting system in one complete package?